What kind of wine do you like to use? Mmmm, I love this story. 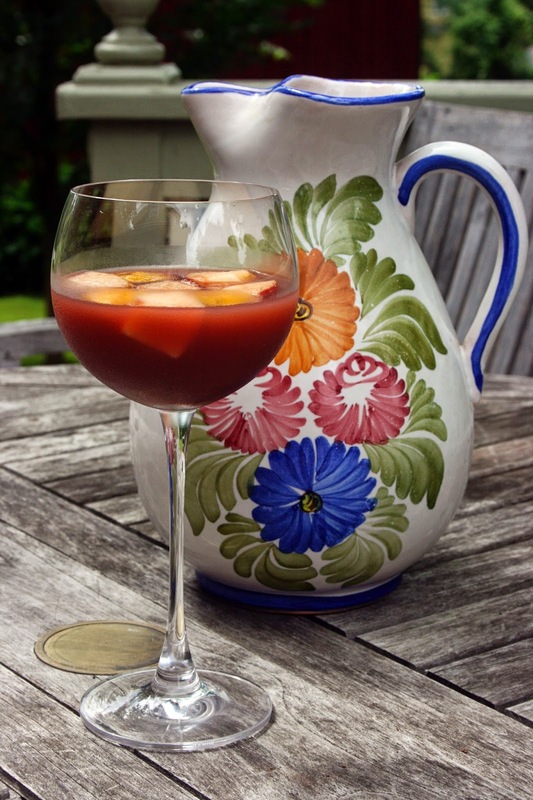 It has been a long time since I've had sangria. At least 15 years or so. In Spain. 14 summers ago, Husband and I studied Spanish (he also studied Flamenco guitar) at a school a the base of the Alhambra. We'd go to class in the morning and spend our afternoons exploring, stopping in various places for gazpacho and sangria. Oh, what a wonderful summer. No matter when I manage to make it to your neck of the woods -- even December -- you have to promise to make this for me :-). I like to make sangria, but I can't say I've ever used 7up. If I can find it here, I'll have to try it! I made this for book club last night. It was delicious.